There may be no such thing as a free lunch but here are some free ebooks! If you thought that freebies were only for politicians and celebrities (who can afford them anyway) you really should try Libboo.com, the new book community that gives book lovers free ebooks. I’ve given more details about Libboo and why they are giving away free ebooks here but the gist is that if you tell your friends about a book you love you earn free ebooks. Simple as that. 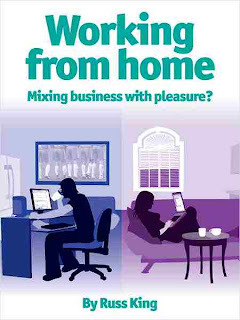 I put out a few posts on Twitter, Facebook etc about books that look interesting from the shortlisted authors as well as some links to my own novel Working from home: Mixing business with pleasure? I’ve now got a load of free ebooks on my Kindle and I’ve got more free ebooks to give away. I’ll use this blog post to list my free ebooks. While I’ll check on a regular basis you might find that the free books have run out. You can either return to this blog in a few days or check out Libboo yourself and earn your own. It’s very easy to earn your free ebooks and you can chat with the authors too. Do please review the books you read on the Libboo site and also on Amazon or iTunes etc, wherever you tend to buy your ebooks. This gives us indie authors a benefit for giving away the freebies!